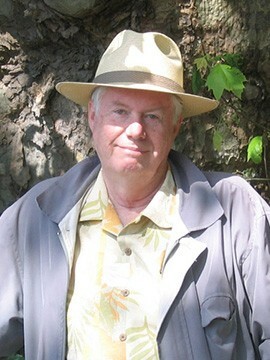 Dr. Richard Tees is Professor Emeritus in Psychology at the University of British Columbia. Research interests include developmental psychobiology; sensory and perceptual processes; early experience; recovery from brain damage; prenatal nutritional effects and spatial and perceptual learning in the rat; development of infant speech perception. Tees, R.C. (Assoc. Ed.). (2001). Dictionary of biological psychology. London, UK: Routledge, Chapman & Hall. Kolb, B., & Tees, R.C. (Eds.). (1990). The cerebral cortex of the rat. Cambridge, Mass. : MIT Press. Tees, R.C. (1999). The effects of posterior parietal and posterior temporal cortical lesions on multimodal spatial and nonspatial competencies in rats. Behavioural Brain Research, 106, 55-73. Tees, R.C. (1999). The influences of rearing environment and neonatal choline dietary supplementation on spatial learning and memory in adult rats. Behavioural Brain Research, 105, 173-188. Tees, R.C. & Mohammadi, E. (1999). The effects of neonatal dietary choline supplementation on adult spatial and configural learning and memory in rats. Developmental Psychobiology, 35, 226-240. Werker, J.F., & Tees, R.C. (1999). Experiential influences on infant speech processing: Towards a new synthesis. Annual Review of Psychology, 50, 509-535.